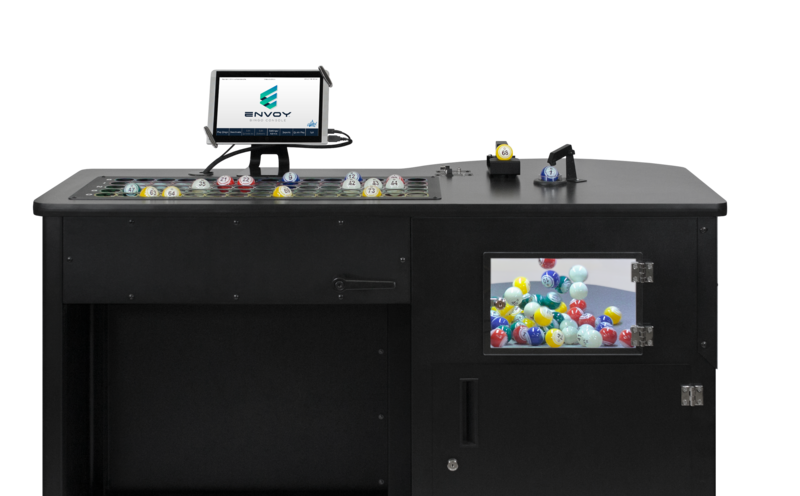 The Envoy is a compact, affordable, and easy to use bingo console designed for smaller venues such as recreational centers and retirement homes. 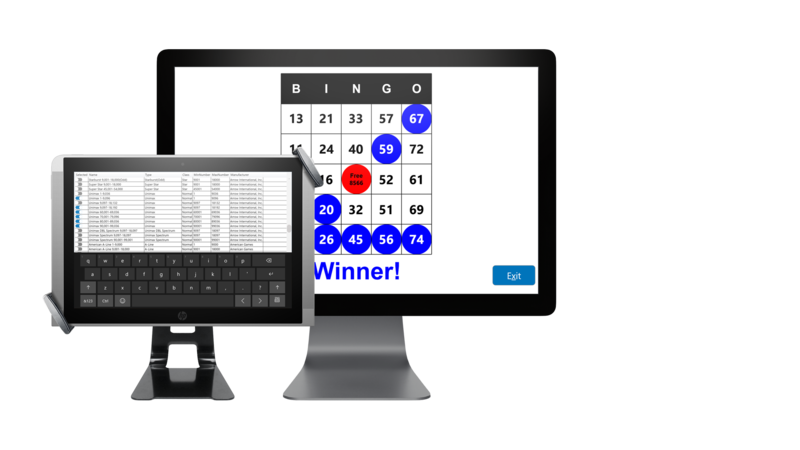 Download important manuals and brochures for the Envoy bingo console. The idea behind the Envoy is simple: it's an affordable, compact, and easy-to-use bingo console. Tight on space? The Envoy can fit in just about any venue. With a cabinet that’s only 23" in depth, it can fit through practically any doorway. We know that smaller venues can have tight budgets. The Envoy was designed with the essential features you need without breaking the bank. The Envoy’s software is pre-loaded with sample schedule, game, and pattern definitions, so you’re ready to play right out of the box. Calling a game has never been easier. The Envoy is designed to work just the way you'd expect it to, even if you've never called a game before. The game screen displays all important game information, including the game pattern(s), the last ball called, and a flashboard display. 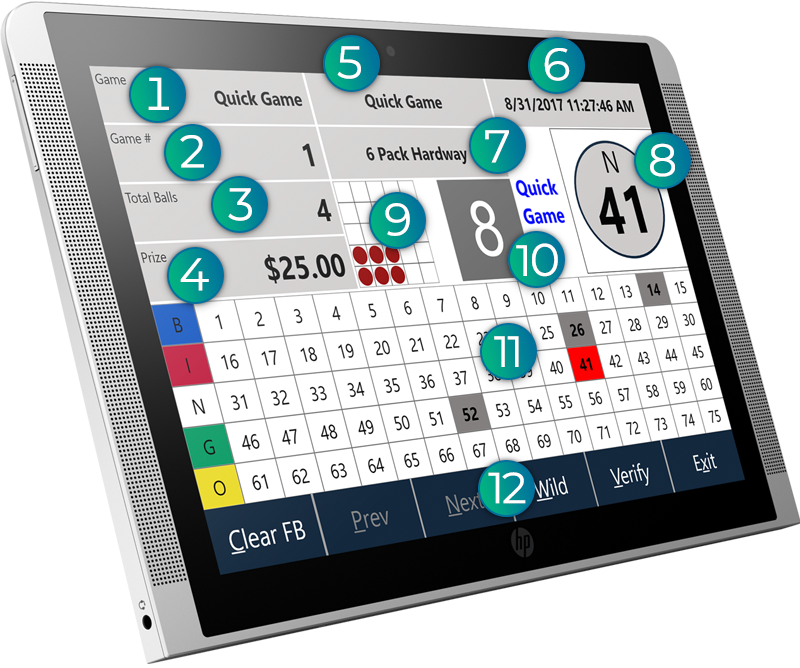 The Envoy is a powerful, cutting-edge, sophisticated, easy to use bingo console. Navigate the Envoy's user-friendly software with ease on the 10.1" anti-glare LED touchscreen display. The ball tray features an innovative design with colour-coded number rows to match the bingo balls. A single, easily accessible switch controls the power to the blower motor and integrated LED lighting. The Envoy’s pre-installed software was designed to run exclusively on the provided tablet using a custom Windows 10 operating system. Unlike PC-based consoles with a traditional hard drive, the Envoy uses a SSD, resulting in a reliable, faster, and more powerful system. The Envoy’s built-in adjustable ball timer counts down the number of seconds between each call so the game pace can remain consistent. Set up each game’s pattern and prize, and you’re all set. Choose a pre-installed pattern or design your own. Play a game instantly, even during an active schedule. Call multiple balls at the same time, such as all evens. Make sure you’ve got the right call, every time. The Envoy’s optional verification software allows you to electronically validate all winning cards. The Envoy comes with amazing standard features, like an integrated ball timer, easy-to use game pattern designer, and reporting functions. Enhance your Envoy bingo console even further with optional accessories and software upgrades. Display each ball as it’s called on an external TV or monitor. Display the caller screen on an external TV or monitor. The Envoy supports USB or wireless printing. Electronically verify all winning bingo cards. For the optimal anti-static operation, it is strongly recommended that only the included set of Tru-Max™ bingo balls be used with the Envoy bingo console. Does the Envoy work with all flashboards? The Envoy is equipped with the latest state-of-the-art technology to support most existing analog flashboards. Is a flashboard required to operate the Envoy? No. The Envoy is fully capable of operating as a stand-alone console. No. The Envoy was designed as a cost-effective solution for smaller venues. Operators can connect their own TV or monitor using an HDMI connection. Can I play 90-number bingo with the Envoy? No. The Envoy was designed strictly for 75-number bingo. Does the Envoy verify all bingo paper? 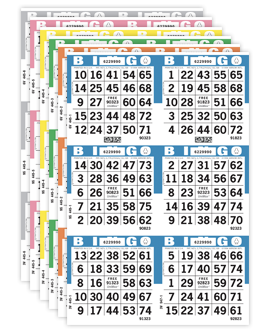 With the optional verification software, the Envoy will verify most Arrow, Capitol, and Bingo King bingo paper.